It's free and no sign up required! 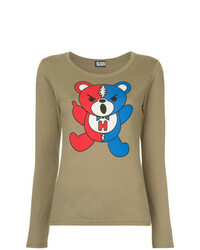 As you can see here, looking stylish doesn't require that much effort. 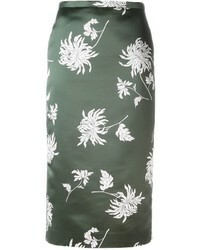 Try pairing a black floral coat with an olive silk pencil skirt and you'll look amazing. 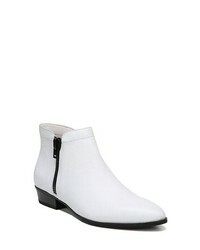 When not sure about the footwear, go with a pair of white leather ankle boots. 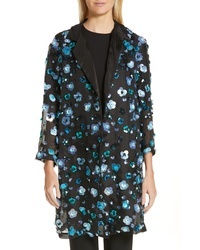 Breathe glamour into your day-to-day repertoire with a black floral coat and an olive long sleeve blouse. 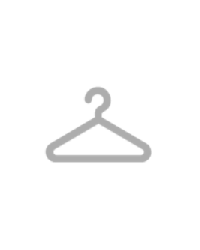 When it comes to shoes, this outfit pairs well with white leather ankle boots. 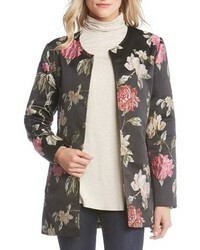 Karen Kane Floral Jacquard Jacket $218 Free US shipping AND returns! Mansur Gavriel Sequin Sheer Silk Jacket $597 $1,495 Free US shipping AND returns! 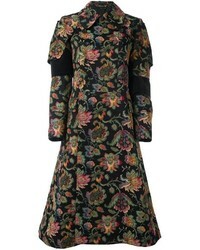 Paskal Laser Cut Flower Coat $715 Free US shipping AND returns! 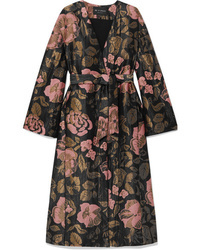 Sosken Floral Jacquard Coat $595 Free US shipping AND returns! 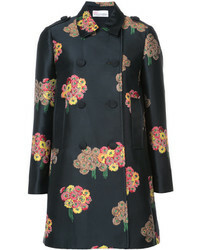 Etro Belted Metallic Jacquard Coat $3,690 Free US shipping AND returns! 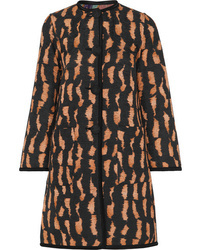 Lela Rose Wool Blend Jacquard Coat $1,398 $2,795 Free US shipping AND returns! 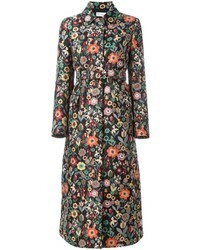 Etro Reversible Cotton Blend Jacquard Coat $1,980 Free US shipping AND returns! Off-White Layered Rubber Appliqud Floral Print Shell Jacket $3,235 Free US shipping AND returns! 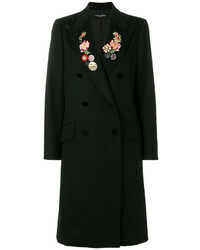 Dolce & Gabbana Double Breasted Floral Embroidered Coat $1,678 $3,356 Free US Shipping! 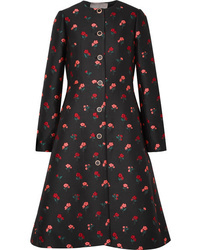 RED Valentino Floral Print Double Breasted Coat $898 $1,497 Free US Shipping! Talbot Runhof Nubia Coat $1,179 $2,359 Free US Shipping! 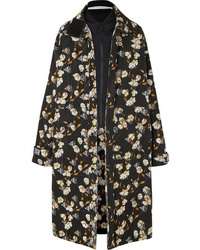 Comme des Garcons Comme Des Garons Woven Floral Coat $1,514 $2,522 Free US Shipping! This pairing of a black floral coat and an olive long sleeve blouse is pretty, but in a really cool way. 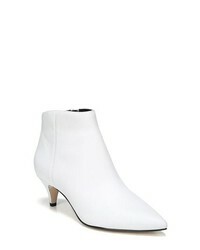 Complete your ensemble with white leather ankle boots and off you go looking gorgeous. 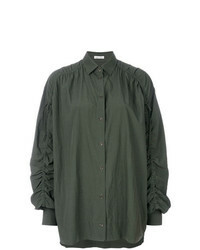 Tomas Maier Airy Poplin Blouse $483 Free US Shipping! 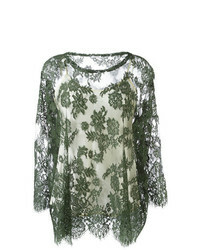 Wandering Fringed Sheer Blouse $277 $396 Free US Shipping! P.A.R.O.S.H. 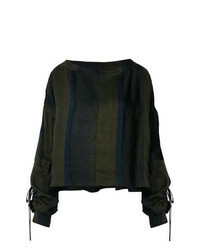 Soldier Blouse $239 $398 Free US Shipping! 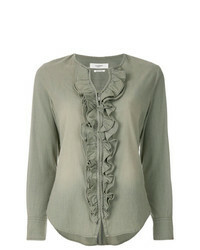 Isabel Marant Et... Isabel Marant Toile Ruffled Blouse $196 $244 Free US Shipping! 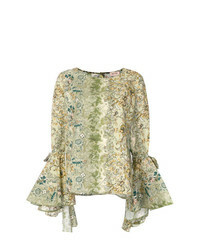 Giambattista Valli Gathered Waist Blouse $922 $1,844 Free US Shipping! 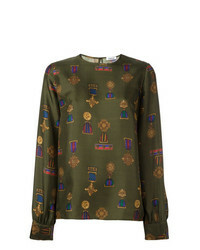 Antonio Marras Printed Blouse $784 $1,120 Free US Shipping! P.A.R.O.S.H. 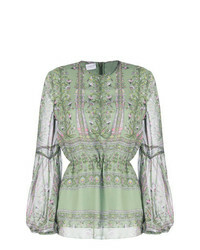 Zaida Blouse $486 $810 Free US Shipping! 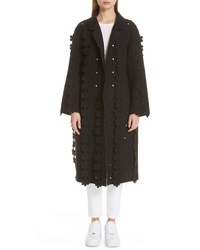 Off-White High Neck Lace Top $468 $668 Free US Shipping! Andrea Ya'aqov Striped Boat Neck Top $197 $394 Free US Shipping! Black Coral Reby Blouse $203 $406 Free US Shipping! 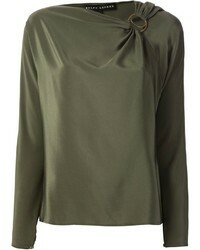 Reach for an olive long sleeve blouse and an olive silk pencil skirt to create a neat and refined getup. 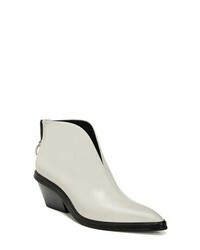 A pair of white leather ankle boots will tie your full outfit together. A smart combo of an olive long sleeve blouse and an olive silk pencil skirt can maintain its relevance in many different settings. A nice pair of white leather ankle boots ties this look together. Sole Society Desiray Bootie $99 Free US shipping AND returns! Naturalizer Blair Bootie $139 Free US shipping AND returns! Sam Edelman Kinzey Pointy Toe Bootie $139 Free US shipping AND returns! 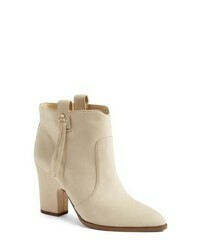 Via Spiga Fianna Bootie $295 Free US shipping AND returns! 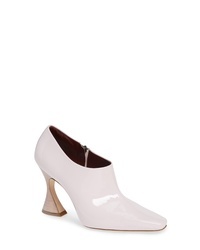 3.1 Phillip Lim Drum Slingback Bootie $356 $595 Free US shipping AND returns! 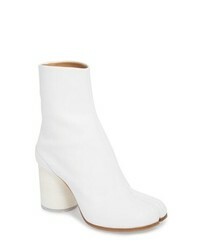 Sies Marjan Drea Asymmetrical Bootie $795 Free US shipping AND returns! 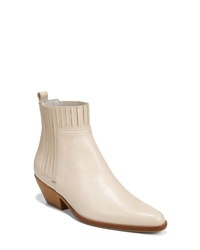 Maison Margiela Tabi Boot $980 Free US shipping AND returns! Sam Edelman Niomi Bootie $149 Free US shipping AND returns! 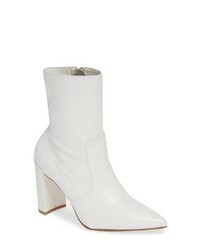 Chinese Laundry Radiant Bootie $89 $129 Free US shipping AND returns! 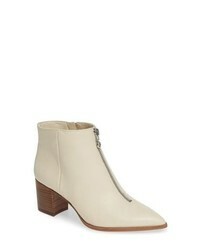 Vince Eckland Chelsea Bootie $395 Free US shipping AND returns! 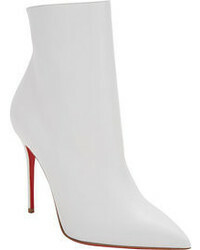 Alexander McQueen Button Pointy Toe Boot $1,290 Free US shipping AND returns! Schutz Krysta Bootie $289 Free US shipping AND returns! 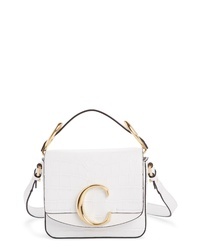 Chloé Mini C Croc Embossed Leather Satchel $1,690 Free US shipping AND returns! 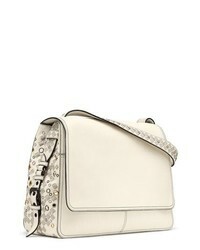 Marc Jacobs Snapshot Crossbody Bag $295 Free US shipping AND returns! 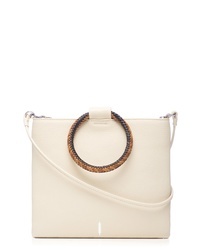 Bottega Veneta Intrecciato Leather Shoulder Bag $5,500 Free US shipping AND returns! 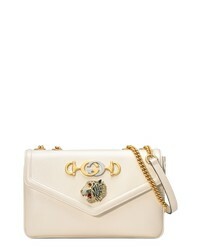 Gucci Small Arli Convertible Shoulder Bag $1,980 Free US shipping AND returns! 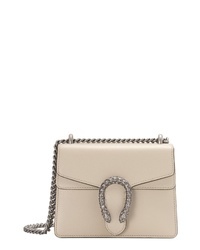 Gucci Mini Dionysus Leather Shoulder Bag $1,980 Free US shipping AND returns! 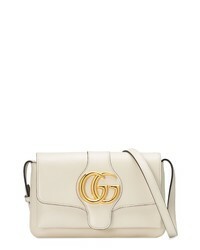 Gucci Sylvie Leather Shoulder Bag $3,200 Free US shipping AND returns! 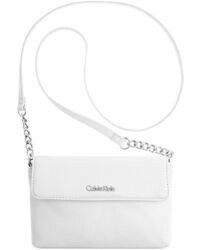 THACKE R Le Pouch Ring Leather Crossbody Bag $168 Free US shipping AND returns! 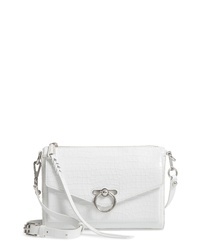 Rebecca Minkoff Jean Mac Croc Embossed Crossbody Bag $248 Free US shipping AND returns! 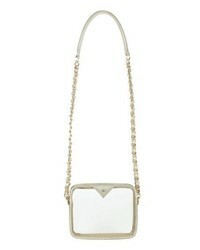 KELLY WYNNE Clear Mingle Mingle Mini Crossbody Bag $195 Free US shipping AND returns! 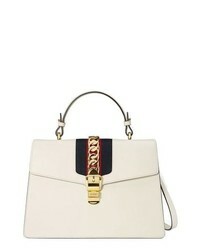 Gucci Medium Rajah Leather Shoulder Bag $2,980 Free US shipping AND returns! 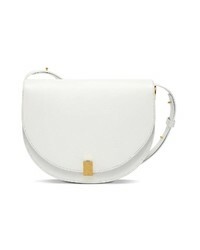 Victoria Beckham Half Moon Box Shoulder Bag $1,151 $1,920 Free US shipping AND returns! 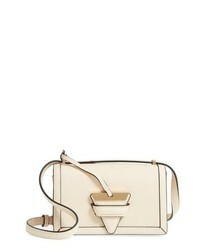 Loewe Small Barcelona Y Leather Crossbody Bag $1,750 Free US shipping AND returns! 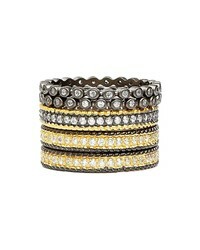 Freida Rothman The Standards Stackable Rings $275 Free US shipping AND returns! 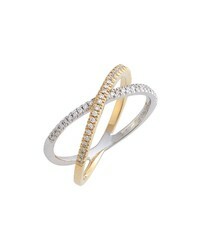 Bony Levy Stackable Crossover Diamond Ring $1,095 Free US shipping AND returns! 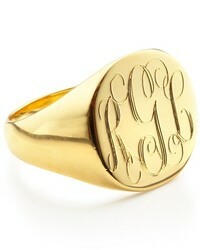 Gorjana G Ring Rings $45 Free US shipping AND returns! 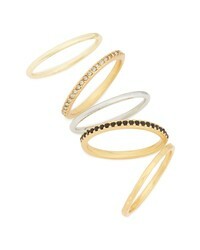 Madewell Set Of 5 Filat Stacking Rings $28 Free US shipping AND returns! 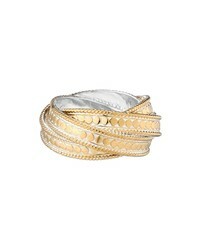 Anna Beck Timor Twist Ring $290 Free US shipping AND returns! 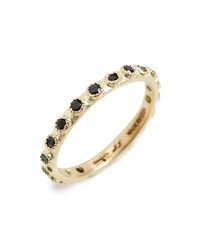 Armenta Old World Sapphire Stack Ring $990 Free US shipping AND returns! 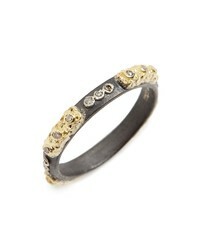 Armenta Old World Crivelli Diamond Stack Ring $990 Free US shipping AND returns! 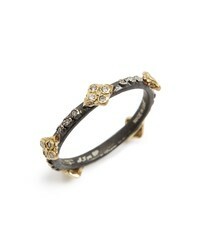 Armenta Old World Carved Diamond Stack Ring $790 Free US shipping AND returns! 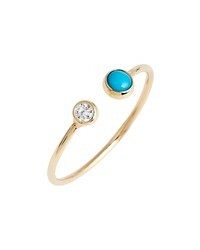 Zoe Chicco Diamond Turquoise Open Stack Ring $285 Free US shipping AND returns! 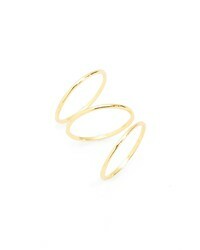 MONICA VINADE R Nura Teardrop Ring $160 Free US shipping AND returns! 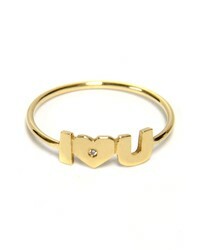 JANE BASCH DESIGNS I Heart U Diamond Ring $285 Free US shipping AND returns! 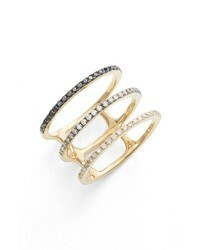 Ef Collection Diamond Triple Fade Stacking Ring $1,675 Free US shipping AND returns!